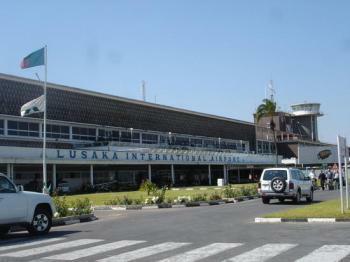 The main airport in Zambia was Tuesday evening plunged into darkness for close to six hours. Kenneth Kaunda Internationla Airpot had no power from 16 hours local time and at the last check at 21 hours the aiport was still in darkness. Planes were landing in darkness while people were entering and leaving Zambia without their luggage being scanned. When MMD fired Cyprian Chitundu we all thought that it was political. Indeed we have read in the news that ZESCO has embarked on multi-million dollar projects to improve power supply in the country. Today from around 16:00hrs our biggest port of entry via air, the Kenneth Kaunda International Airport has had no power. A check at the airport after 21:00hrs found that passengers are going and coming in without their luggage being scanned. ZESCO engineers are frantically working at the airport to restore power. One would think that this is a normal outage and yet it could be planned. What if PF has planned to bring in seditious materials, equipment and blame it on opposition. Or indeed bring in other stuff that they do not want to be detected by anyone and this would include cash, pre-marked ballot papers for bye-elections. We have seen that Mr. Chitundu who employees Mr. Judge Ngoma is a cadre as Mr. Ngoma.